Our mission is to advance realism in fine art through museum exhibitions, major art gallery shows, workshops, education programs conducted by our members, marketing support and internet exposure. For us, “realism” ranges from classical realism (based upon the traditional, academic-style painting techniques) to contemporary realism (where cutting edge techniques and subject matter are used to comment on today’s world). Trompe l’oeil, photorealism, surrealism, and super-realism are some of the genres included within the range of realism choices for modern artists, as well. Membership in IGOR is based on juried selection of submitted works. Artists must demonstrate a high level of technique, creativity and style within the realm of realism in order to be considered. This spring, I decided to enter the 12th Annual Juried Exhibition for the first time. 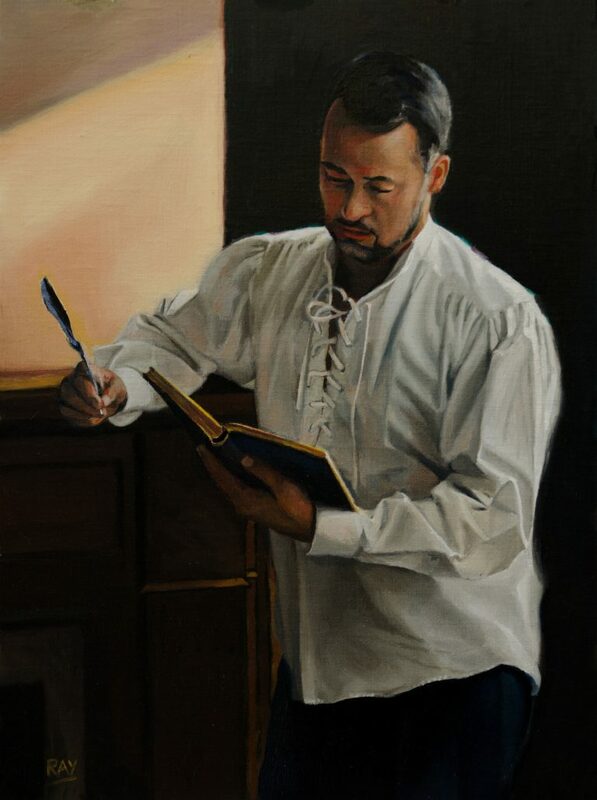 IGOR just notified me that my entry, “The Reader”, has been accepted. The exhibition to be held at the Winfield Gallery in Carmel, California, September 23 to October 23. Copyright © 2019 by Alan Douglas Ray. All Rights Reserved.